Get all of your December materials in one download and at a discount!! 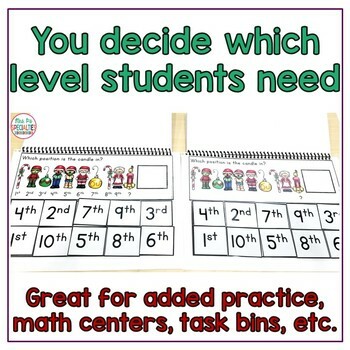 These materials are already leveled, hands on and have visual supports built in... that means you won't need to be stressed out trying to find materials to re-engage students!! 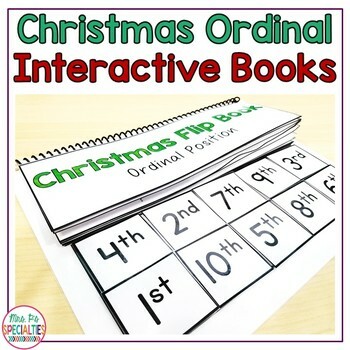 These interactive math books grab students' attention and help them practice ordinal positioning. This can be a challenging concept for our students to demonstrate their knowledge. These flip books give students a way to demonstrate their knowledge in a fun way. 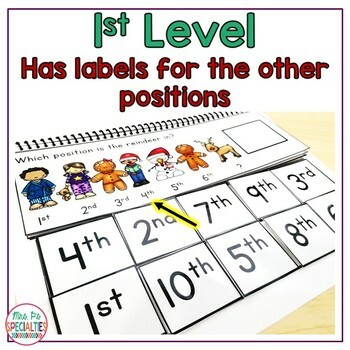 1st version: The ordinal position of each picture is labeled except for the picture students are labeling. 2nd version: None of the pictures have ordinal position labels. 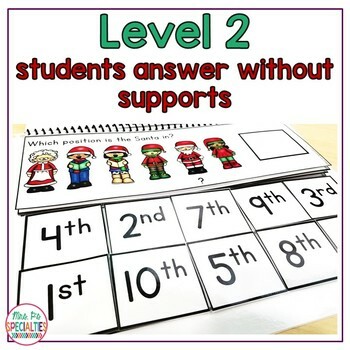 Students have to determine the position without any supports. Don’t miss out on discounts, freebies and new products! Simply click the green star under my store name to follow my store.